University of Central Florida Senate election results came in late Wednesday night in the student union. In total, 4,018 people participated in this year election. Abdullahi Musa received the most votes of any senate candidate on the ballot with 612 total votes. “If you work hard from 7 and go home at 10 in the night you’ll definitely get the votes that you need. I was hoping to get 1,000 votes but I could only get 612,” Musa said. 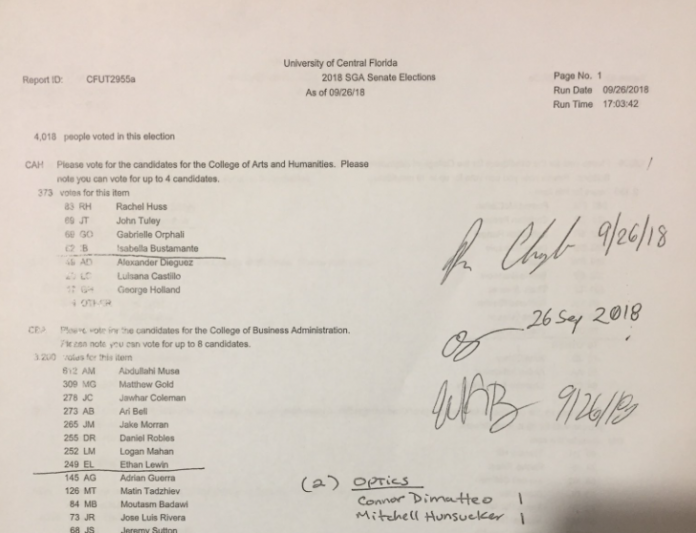 All the elections were decided on Wednesday except for the College of Optics and Photonics. There is a run-off between two write in candidates who both received one vote.